●(2013-06-25) What is the UTC Controller? Effio-E are from Sony launching in 2009 a programme, official the standards programme is: 4127+4816+673, but due to demand in the market, 4127+4816+639 programme, difference in clarity between the two 50. Definition: EFFIO is Sony digital signal processing for video surveillance camera development (Digital Signal Processor,DSP), it can provide high resolution picture quality for video and high signal-to-noise ratio (Signal Noise Ratio,SNR) and high color reproduction abilities. Advantages compared with traditional DSP Effio 480K DSP supports NTSC specifications effective pixels CCD, 570K and PAL specifications effective pixels CCD. By Effio new CCD and DSP mix, can reach more than Standard of 650 TV lines of resolution, compared to the standard camera in such a way to provide a more clear picture quality, its color signal processor provides the ideal beauty. Color balance of brightness and concentration. Effio DSP supports wide dynamic range (Wide Dynamic Range,WDR) CCD and, therefore, in the context of backlight and brightness contrasts greatly, but also　Clear picture quality. Effio DSP can improve the "Super HAD CCD II" performance. Sony image sensors with high stability and sensitivity, wide placement in prison Control cameras. Effio DSP combines 2D and 3D noise reduction feature, even if the target shooting on the move, without prejudicing the dynamic resolution. In addition, Effio DSP with the surrounding Circuit, can not only reduce camera size, can also reduce power consumption. 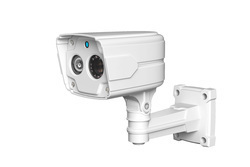 Development history: In 2009, Effio-e enter China, the first programme used in surveillance camera manufacturers Effio-e: dongrixinbo, Cheung Fei, Jia Xin Jie, Choan, etc, because at that time Technologies are still immature, inconsistent quality, so Effio-e did not open the market. In 2010, the Effio-e technical in a fairly mature. But the price is very high, only there are a few manufacturers, will launch a programme of Effio-e camera, the market has been in a depressed period. In May 2011, due to SONY company 3,172 chip tension, less supply, dongri Bo and Choan reduced Effio-e in the first programme, programme of Effio-e one of the first manufacturers to price, making a Effio-e programme to replace Sony 3,172 programme number. Business recommendation Because of HD camera series, the majority of small production companies have no way to control their core technology. Enterprises in Shenzhen, deep group, the Sony camera manufacturers As their representatives, is currently the major camera manufacturers of the Effio-e programme. One module production enterprise was launched end of 2010 Effio-E series release of rich electronic representatives, and In February 2012, launched the Effio-S series machine modules. Effio-e programme for future development :Effio-e programme with all manufacturers price reduction, close to the original 3172+639 program, Effio-e programme market of the future will be bright.